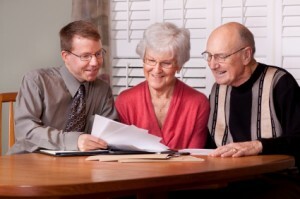 Elder Law is the only area of law defined by the clients we serve rather than the areas of law in which we practice. We like to deal “holistically” with our clients in talking about long-term planning for health care and financial viability, family dynamics, end-of-life decisions, personal values and personal preferences. With 80 million Baby Boomers moving into their “golden years,” and one person attaining age 50 every seven seconds, there is a great demand for information and counsel. Elder Law attorneys are committed to providing advice and seeking remedies for older clients and people with disabilities and are dedicated to staying informed as laws and rules change. Elder Law attorneys seek to understand the problem from the client’s perspective, in keeping with the client’s family, moral and religious belief structure. The client and the Elder Law attorney frequently form strong, enduring relationships in the work that is undertaken to meet the client’s diverse needs. Many Elder Law attorneys joke that we are part “social worker,” and that is proven time and again in our work as we research and gather resources to help our clients. We look forward to being an advociate to our clients in the areas affecting older people and people with disabilities.